More than 24,000 residents in Haikou, capital of China’s southernmost island province of Hainan, had been evacuated by Thursday as the city saw a record-high rainfall. 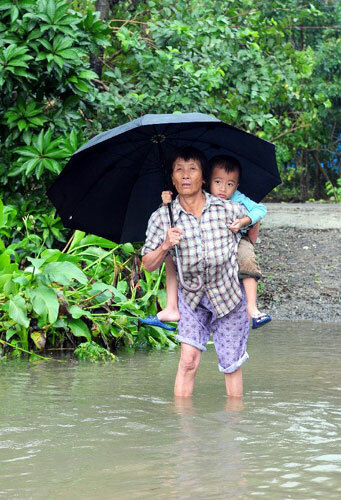 Affected by the tropical storm Nalgae, the precipitation reached 333.6 mm from 8 p.m. Tuesday to 8 p.m. Wednesday in the city, the highest in city’s recorded history, said the flood, drought and typhoon prevention office of the city. Residents in lower areas were relocated to schools and other temporary shelters, and local government had allocated blankets and other materials to the people. According to the provincial weather forecast, downpour will continue to pound the city in the next two days. New precipitation may reach 100 to 200 mm, bringing more pressure to the waterlog prevention.